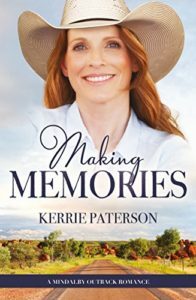 Callie has been the IT manager at the Mindalby cotton gin for all of her adult working life, so when it closes down, she realises that she has let everything else slide—including her own dreams. Seizing the closure as a sign, she decides to open up a craft and quilting shop in town, pursuing her own interests and hobbies and taking a risk for the first time since her husband ran off with her best friend. Helping her every step of the way is Nathan, her best friend’s ex-husband and the man that Callie could never have. Suddenly, Nate seems to be everywhere, sharing this adventure, offering her a hand. But Callie has been burned before. Is she able to learn to trust her heart again?